A gold ring was found in Switzerland’s region of Pratteln. Archaeologists date it during the 3rd c. AD and suggest that its rich owner had hid it in the ground during a period of turmoil. 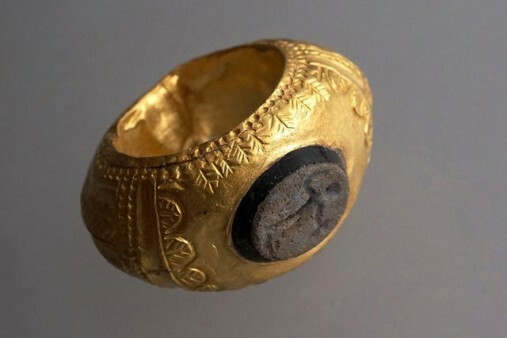 The ring, found during excavations near the Roman site of Augusta Raurica, was presented on Thursday by the archaeological authorities of the Swiss canton of Bale-Campagne. According to the experts, the owner of the ring buried the precious object underground during the civil wars of the Gallic Empire period, between AD 260 and 274.